Want the ability to purchase the best seats in the house? Become a member today! 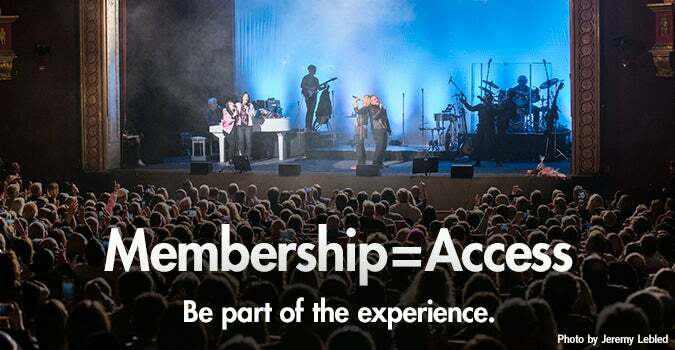 Joining the Membership program at bergenPAC allows you to support the arts while gaining access to a range of benefits. Depending on the level of support, members enjoy access to tickets before the general public, admission to the VIP lounge, invites to special member events, opportunities for artists meet and greets and discounts on classes at the Performing Arts School. Donate today online or call our Membership Manager at (201) 816-8160, ext. 30. Join as a member below today! Memberships are valid for one full year from the month in which you join and are fully tax deductible as allowed by law. As a non-profit organization, bergenPAC relies on your generosity to help bridge the gap between ticket sales and operating costs.